Castletown is a small village in Underhill, located on the southern shore of Portland Harbour. It has a small sandy beach and is the location of Portland Castle, which the village was named after. 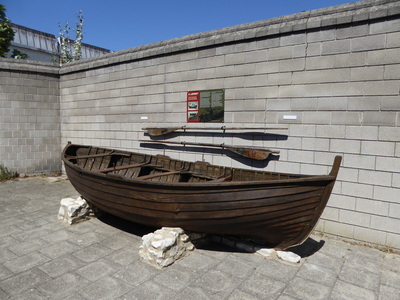 Castletown was originally primarily used by local fishermen, but saw much development during the mid-19th century with the creation of a harbour of refuge and an increasing naval presence at Portland. As with most of Portland's villages and settlements, Castletown is a conservation area for its special architectural and historic interest. Underhill, incorporating Chiswell, Maidenwell, Fortuneswell and Castletown was first designated in 1976 with boundary extensions in 1997, 2000, 2014 and 2017. Castletown's development is notably different to Portland's other villages and settlements. 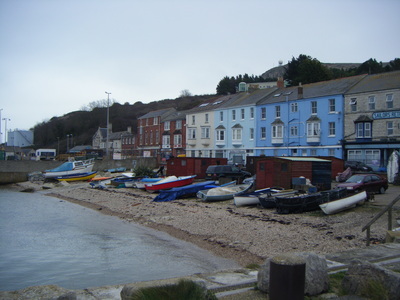 The beach at Castletown was traditionally used by local fishermen, at a time when the surrounding area was undeveloped. In 1539-41, Henry VIII had Portland Castle built a short distance west of the beach, while the area also held shipping wharfs and a pier from at least the 18th century, all built for the use of Portland's stone industry. With the establishment of the horse drawn and cable operated Merchant's Railway in 1826, Castletown and its facilities became the island's prime spot for the shipping of stone. The railway, which remained in use until 1939, linked to a number of quarries within the northern region of Tophill and transported the stone from Priory Corner down to the pier via Verne Hill. 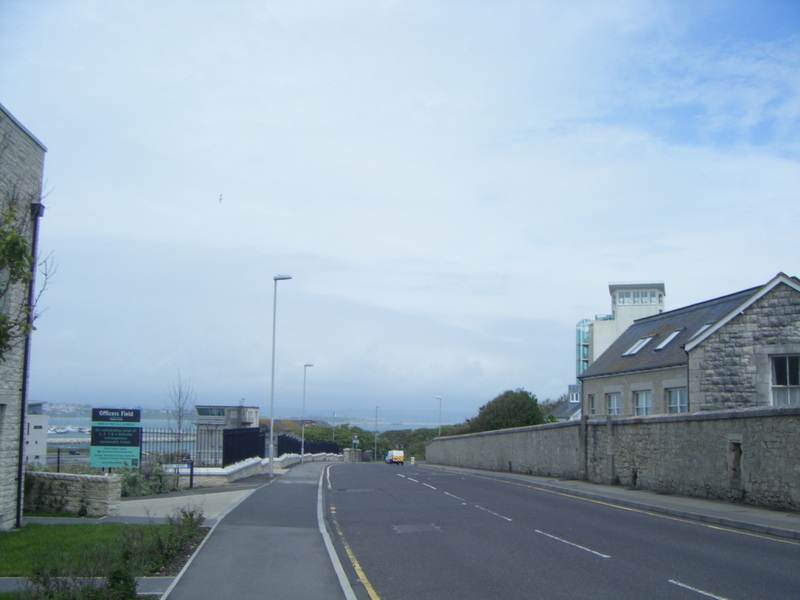 Into the 1840s, Castletown was a small settlement with only a few residential and commercial properties, concentrated at the bottom of the Freeman's Incline, between Portland Castle and Castletown Pier. One of the earliest businesses established there in 1775 was the original Jolly Sailor public house and a hotel, while in 1798, Thomas Ayles opened a shipbuilding company at the site. 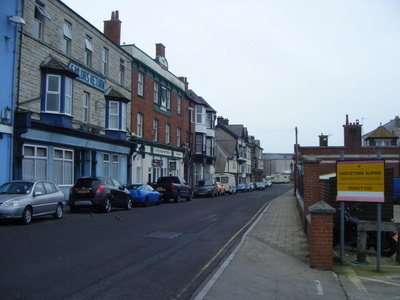 Castletown was transformed into a largely commercial-based area with the transformation of Portland Roads into a harbour of refuge, which saw the construction of two breakwaters arms between 1849-72. 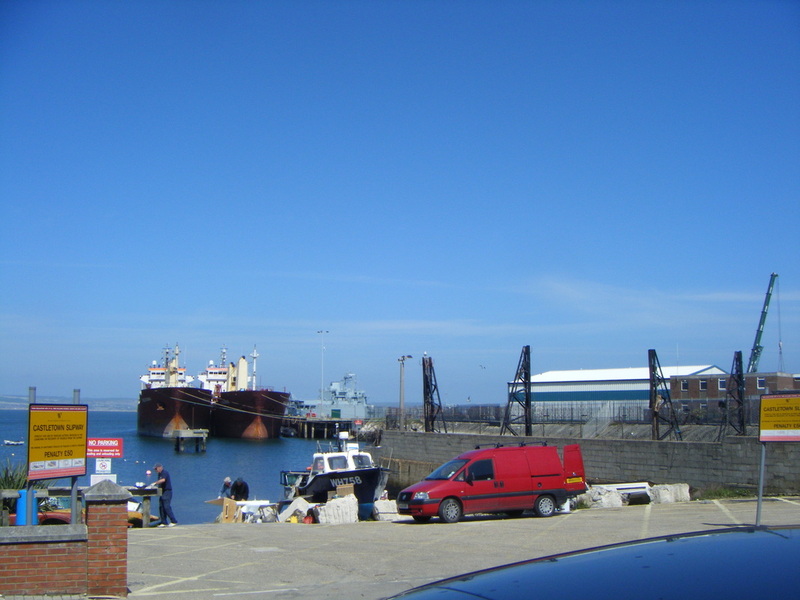 The new harbour began to be used extensively by the Royal Navy, which in turn attracted many enterprises, with Castletown being suitably transformed due to it being the harbour's immediate neighbour to the west. 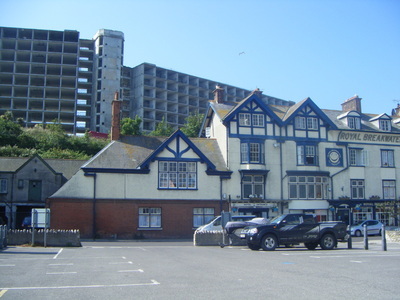 By the 1860s, a one-sided terrace overlooking Castletown Beach had been erected, which was home to a variety of businesses, along with some residential properties. 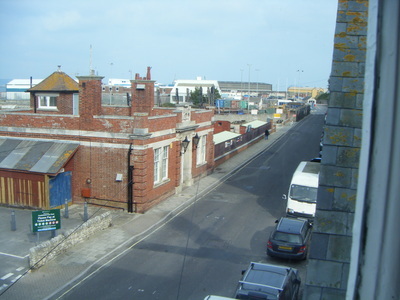 Some of the original enterprises established to serve the navy and harbour included a custom house, coal merchant, chandler, seamen's reading room, barbers and post office, as well as various hotels and pubs such as the Royal Breakwater Hotel, Portland Roads Hotel, Green Shutters and Sailor's Return. 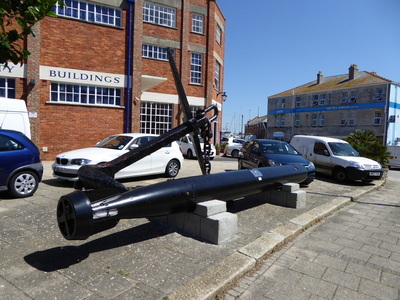 These businesses thrived with the visiting sailors and personnel at the harbour, along with the contractors working on the breakwaters and tourists visiting the island to see the works in progress. As the gateway to Portland's naval base, Castletown remained a thriving commercial area throughout the 19th and 20th centuries. However, the large number of pubs also meant that the common rowdiness and violence seen from sailors on shore leave gained Castletown a reputation, with the long terrace often being referred to as "Drunkards' Row". Meanwhile, the presence of the Royal Navy saw a gradual decline of the use of Castletown Beach by local fishermen, although the wharfs and pier continued to thrive from their use by the stone industry. 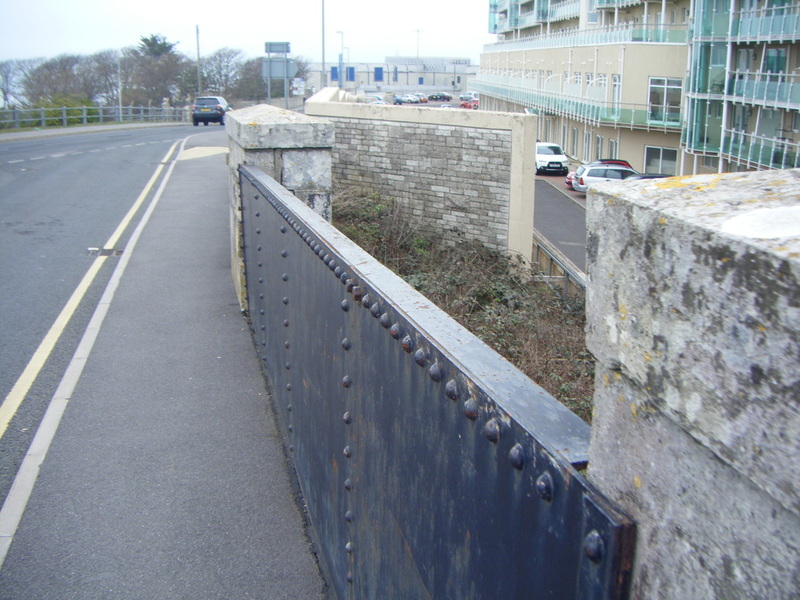 The pier underwent reconstruction and expansion in 1897-98, which included an Admiralty landing used by both the Royal Navy and paddle steamers carrying tourists to the area. Meanwhile, use of the wharfs by the stone industry came to an end and the site was soon developed as a naval depot. During World War II, the presence of Portland's naval base saw the island a target of German air raids, with 48 attacks taking place over the course of the war. Castletown was the victim of some damage aimed at the base, while a number of light anti-aircraft guns were installed in and around the village as a defensive measure. 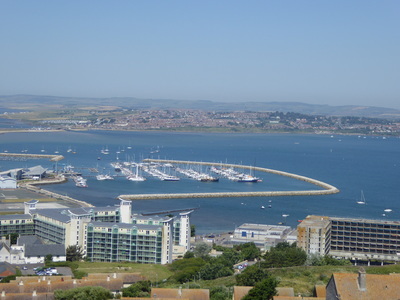 In 1944, Portland and Weymouth Harbours were commissioned USNAAB Portland-Weymouth for use as part of D-Day preparations, with both being major embarkation points for American troops, particularly the US 1st Division destined for "Omaha Beach". Castletown's beach, hards, pier and other facilities were taken over for use during these operations. 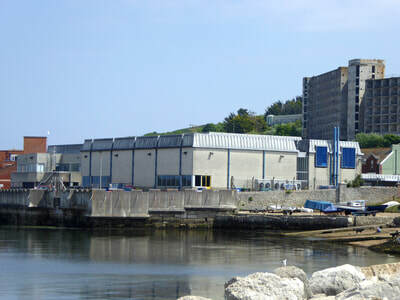 With the end of the Cold War and dissolution of the Soviet Union in 1991, a reduction of the UK's defence budget resulted in the confirmed closure of HM Naval Base Portland in 1993. 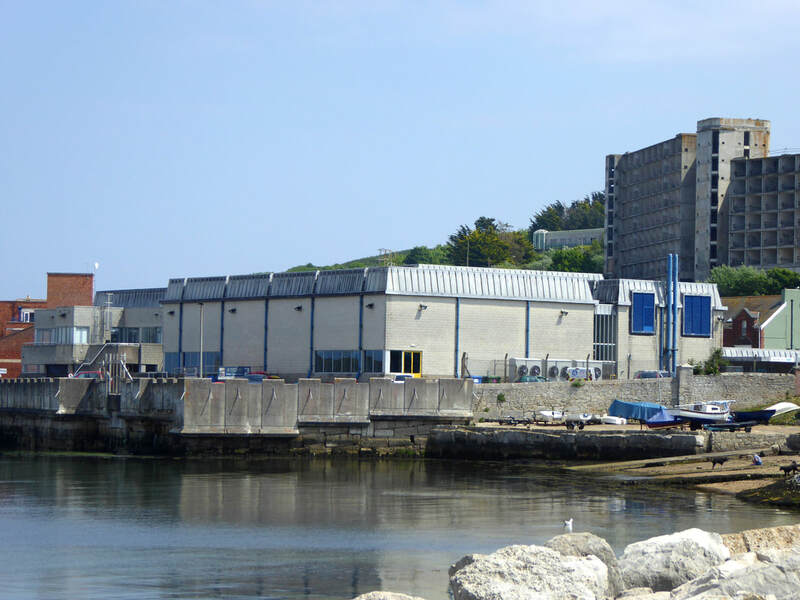 It was forecast that the closure would result in economical disaster for Portland, with Castletown being particularly vulnerable due to its reliance on the custom generated by the base. 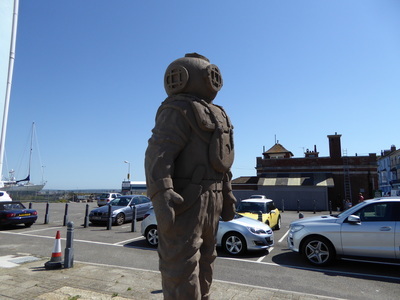 With the closure following in 1996, Castletown entered a gradual decline and saw the loss of a number of businesses, although some were able to continue successfully trading by concentrating on visitors using the area for recreational activities, namely diving. 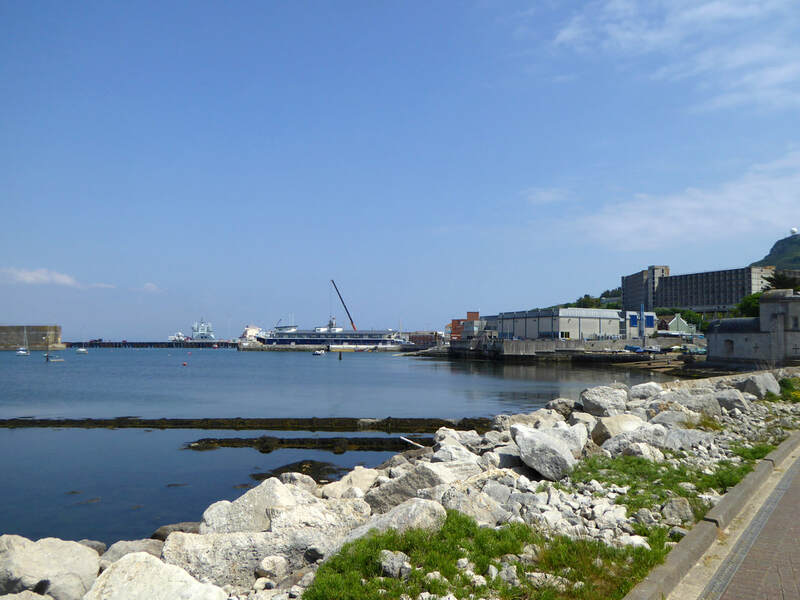 In 2014, the Castletown Regeneration Project was established by Derek Luckhurst, owner of the independent care provider Agincare, who moved their head office to Admiralty Buildings in Castletown that year. 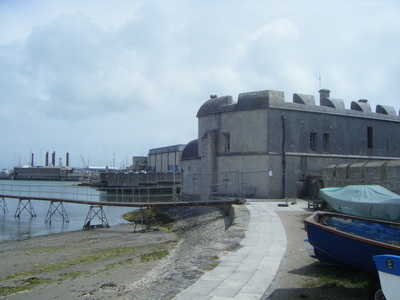 In October 2014, planning permission was sought to redevelop Castletown Pier, with the construction of ten industrial units and nine holiday apartments. 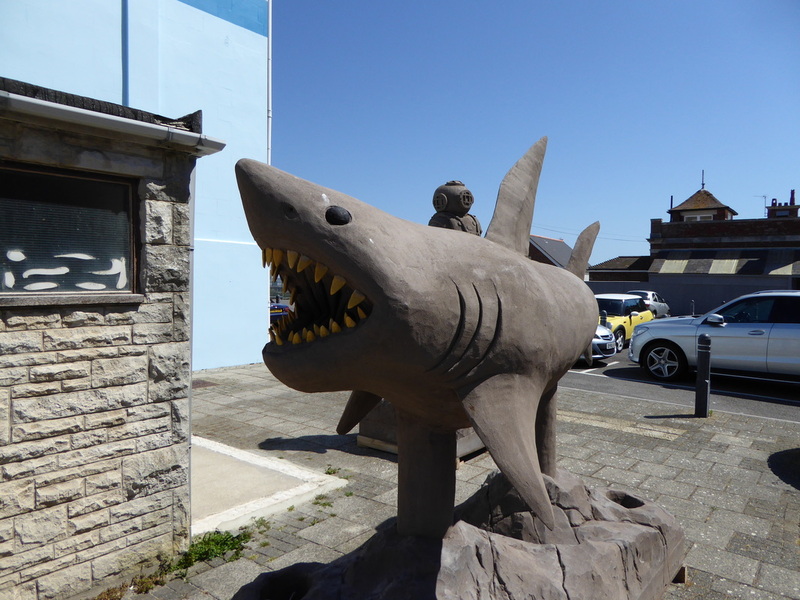 Work began during 2015 on transforming the pier into Crabbers Wharf and the new building was awarded the Weymouth Civic Society Award of 2017. In June 2015, further plans were revealed for the regeneration of Castletown, including an "underwater curiosity park" for scuba divers and a D-Day-related museum, the Castletown D-Day Centre, which opened in 2017. 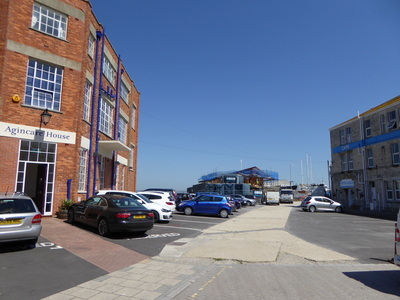 That year also saw the Portland Roads Hotel transformed into the Portland Outdoor Centre, which opened in March 2018. 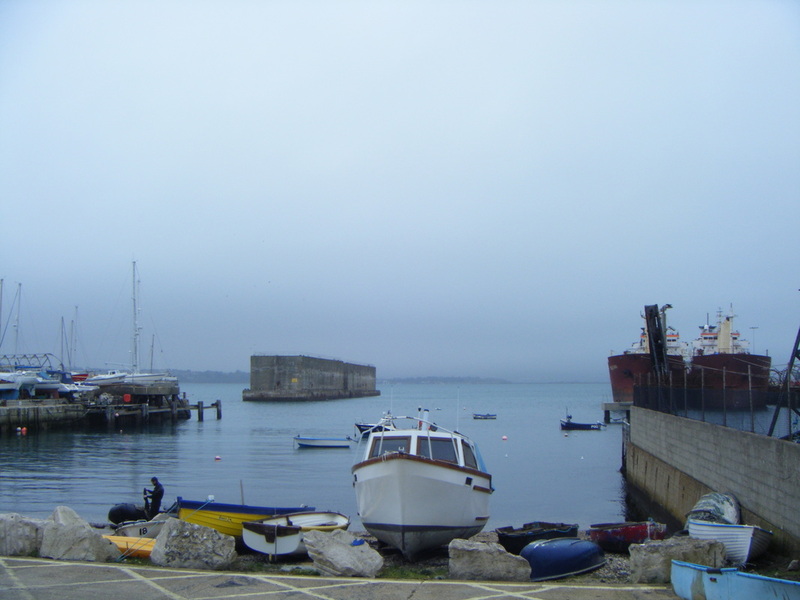 Castletown's small beach is found close to the entrance of what is now Portland Port. 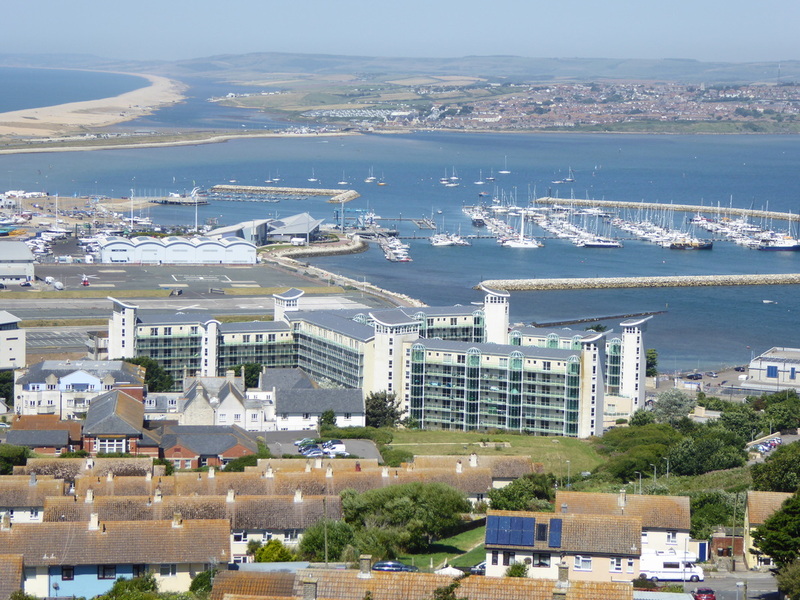 The area still contains a number of hotels and pubs, including Hotel Aqua, the Portland Roads Hotel (now the Portland Outdoor Centre), the Royal Breakwater Hotel and the public house the Green Shutters. 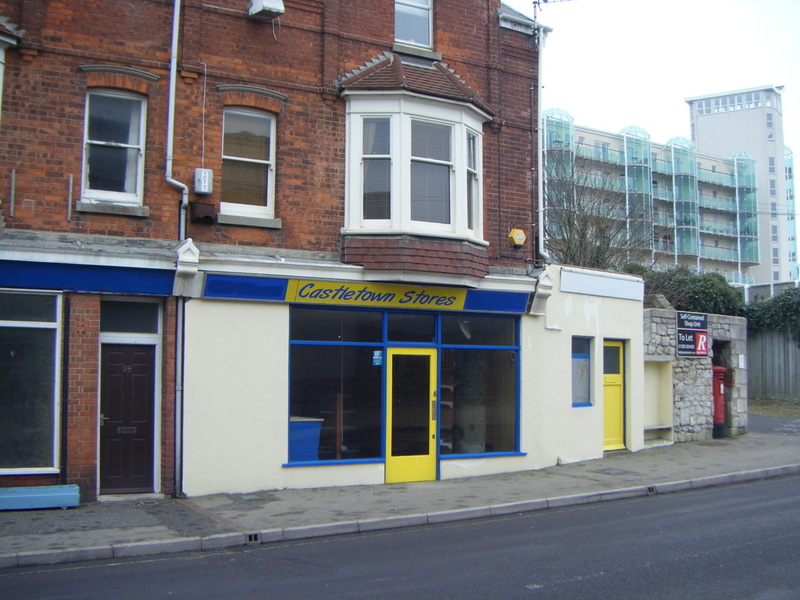 A newsagents was active in the village until 2014, however the Castletown Regeneration Project saw the opening of a new newsagents in 2017. 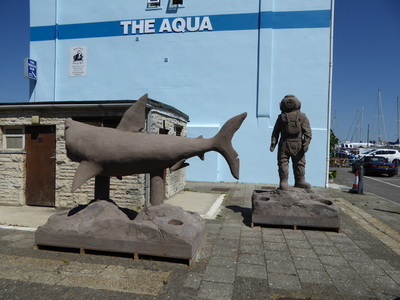 A dive shop, Dive Beyond, is located at Hotel Aqua. Portland Castle - scheduled under the Ancient Monuments and Archaeological Areas Act 1979 since October 1981 and Grade I Listed since May 1993. An artillery fort constructed by Henry VIII in 1539-41, the castle formed part of the King's Device programme to protect against invasion from France and the Holy Roman Empire. 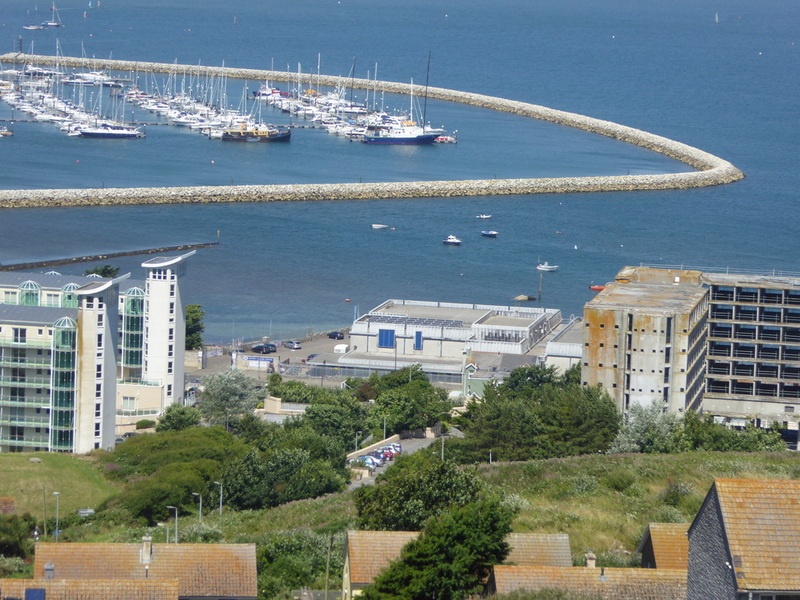 It defended the Portland Roads anchorage with the sister castle Sandsfoot Castle in Wyke Regis. 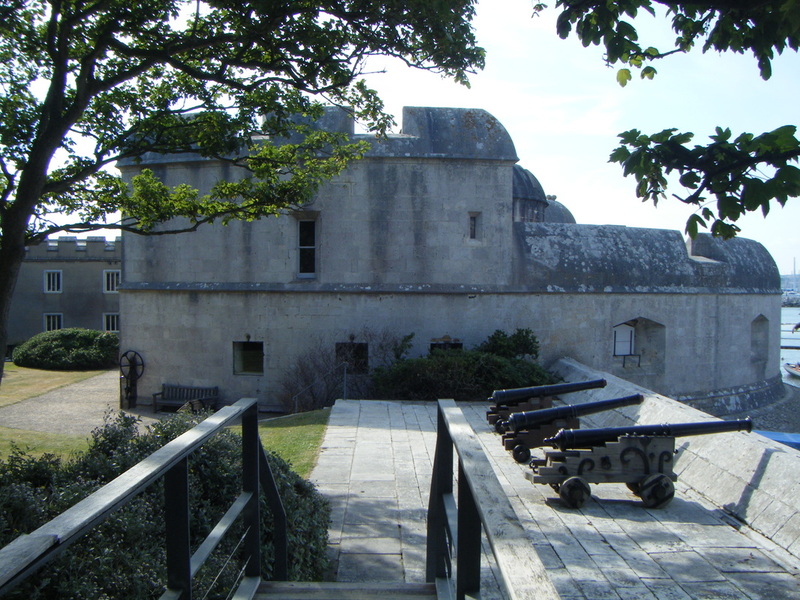 Portland Castle was opened to the public by English Heritage in 1951. The Captain's House - Grade II* Listed since May 1993. 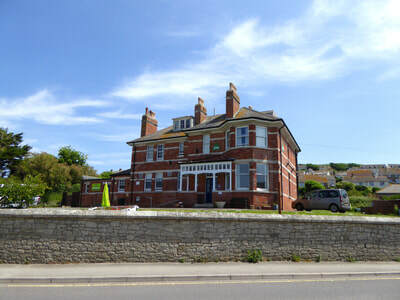 A large detached house, adjoining Portland Castle, originally built as the Master Gunner's residence. Believed to have undergone major reconstruction when taken over by the Manning family in 1816. Later in use from the mid-20th century as the residence of the captain of RNAS Portland (HMS Osprey). 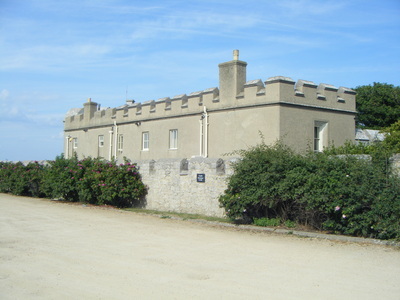 Following the station's closure in 1999, the house was incorporated into the Portland Castle visitor attraction. 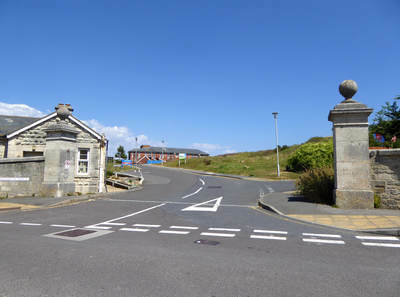 Gateway and curtain wall to the south east of the Captain's House - Grade II* Listed since May 1993. Dating from the mid-16th century, the gateway and wall originally formed part of the main enclosure of and access to the castle, later providing access to the Captain's House. Specifically the wall is a surviving section of a former curtain wall with moat. Boundary Stone circa 23 Metres South of Entrance to Captain's House - Grade II Listed since May 1993. A War Department/Admiralty boundary marker dating from 1870. It is one of many markers of its kind to be found on Portland. 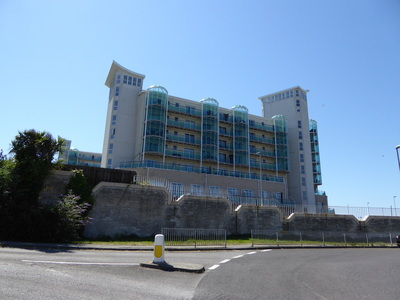 Royal Breakwater Hotel - Grade II since May 1993. The hotel, still operating today, was first established in the 1850s and later re-built in the 1900s. It is a large building of three sections and is described by Historic England as having a "rich composition characteristic of turn-of-the-century design". 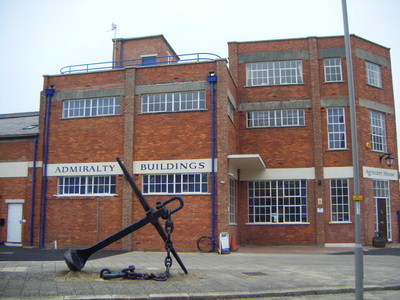 Dockyard Police Station (1 Castletown) - Grade II Listed since May 1993. A 19th century building, once in use as the naval dockyard's police station. Listed primarily "for group and historical value". 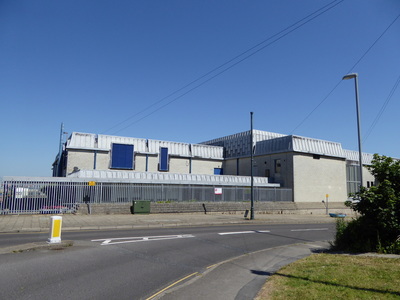 Osprey Leisure Centre - located at the entrance of the village, the centre was originally built for the Royal Navy in 1984-85 as the Boscawen Centre. Following the navy's departure in 1999, the swimming pool was opened to the public by Weymouth & Portland Borough Council and later taken over by the South Dorset Community Sports Trust (SDCST) in 2007, when it was renamed Osprey Leisure Centre. Admiralty Buildings - constructed in the late 1890s/early 1900s as a warehouse, with later uses including a NAAFI Bakery Store and offices. The building suffered fire damage and was reconstructed in the 1950s. 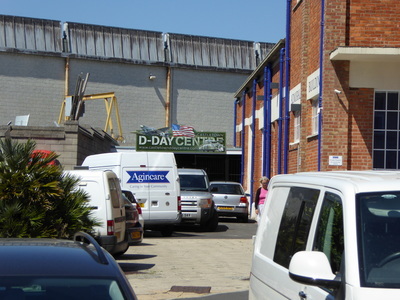 In 2014, the building became the headquarters of the Dorset-based care provider Agincare and home to the Castletown D-Day Centre, which opened in 2017. In recent years, it has been designated an Important Local Building. Score's Steam Bakery - brick building built in the early 20th century as a bakery, attached to Hotel Aqua. 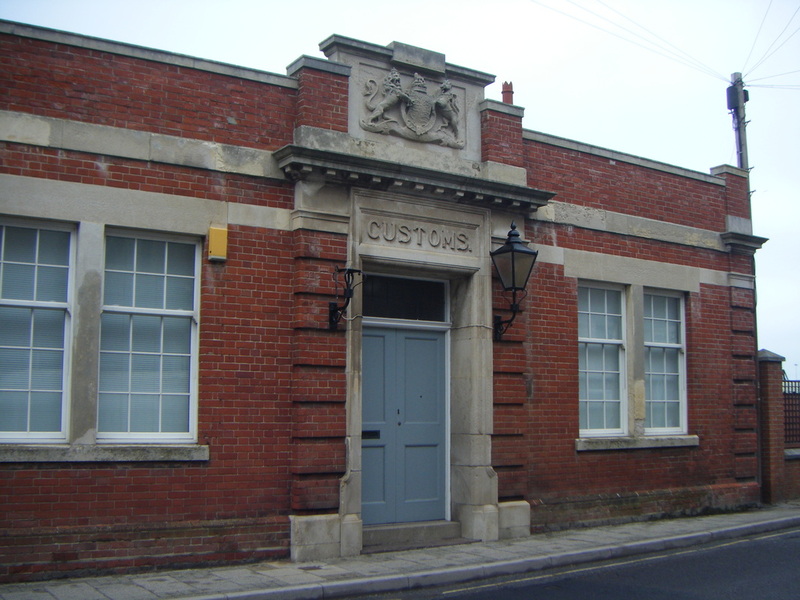 Custom House - constructed in the 1900s by Messrs Jesty and Baker to replace an earlier Custom House located at the gates to the Royal Navy dockyard. 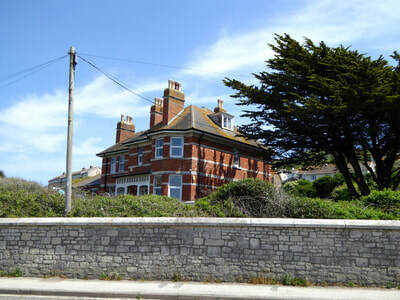 It was later purchased by the Ministry of Defence and used as offices, before being sold in 1990 and converted into a private residence around 1994. In recent years, it has been designated an Important Local Building. The Green Shutters (12 Castletown) - an active pub established in the mid-19th century and built by the local builder Mr. John Patten. It was originally known as the Albert Inn, which is retained on the pub's high pediment, while a shield retains "EP & Co" (Eldridge Pope & Co Ltd). 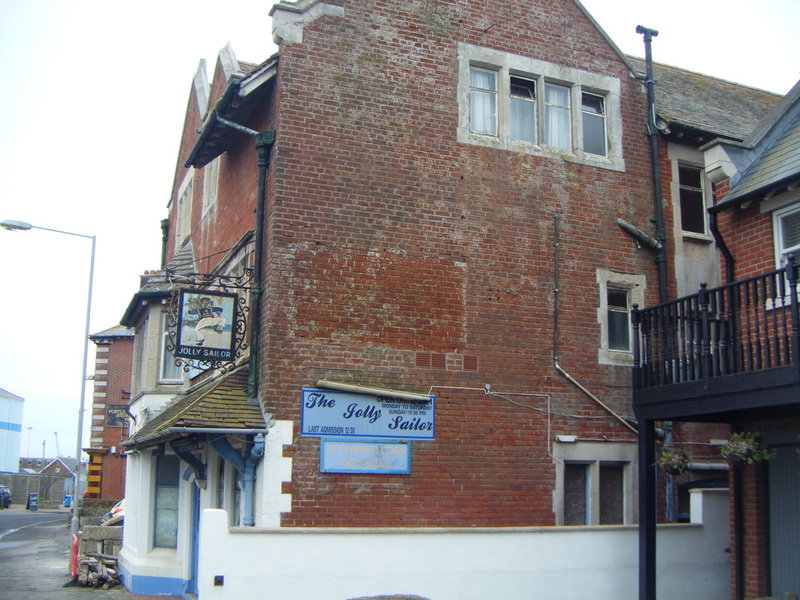 The Jolly Sailor (24 Castletown) - located within the western region of the village, the original pub was established in 1775, with the existing one dating to the mid-to-late 19th century. It closed in the 2000s and has remained derelict since. In 2012, planning permission was received to transform the pub into a care facility, however this did not come to fruition. 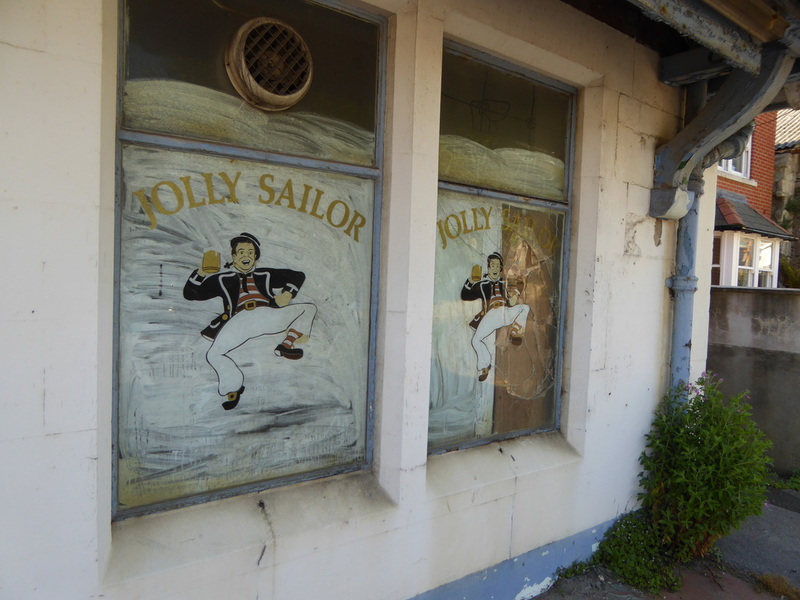 The pub still retains a number of signs and boards while the eastern wall still retains a painted sign with "Devenish Jolly Sailor". The Old Castle Hotel/The Castle Inn - established in the 18th century as one of Castletown's earliest commercial enterprises. 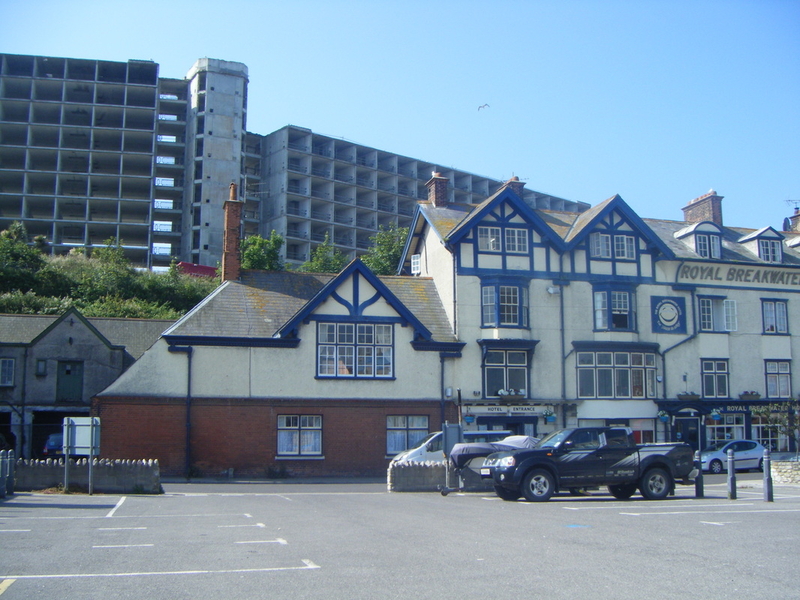 It remained active as a hotel/inn until around 1910 and was then taken over by the Salvation Army. The building was later demolished in the 1960s. 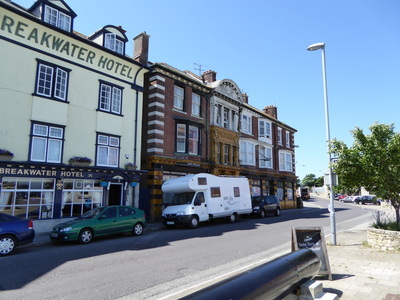 The Portland Roads Hotel - established in the mid-19th century and active until 2014, when it was converted into a house in multiple occupation (HMO). In June 2017, planning permission was approved to transform the building into the Portland Outdoor Centre, opened in March 2018. The Royal Breakwater Hotel - an active hotel/pub established in the mid-19th century. Salvation Army Sailors Home - originally established in the c.1910s, occupying both the former Castle Hotel and a section of the adjoining premises, which also contained R. Score & Sons, a navy contractor and chandlers. The entire building was later taken over by the Salvation Army in the mid-20th century, when it became known as the Red Shield Hostel. It is now the Hotel Aqua. 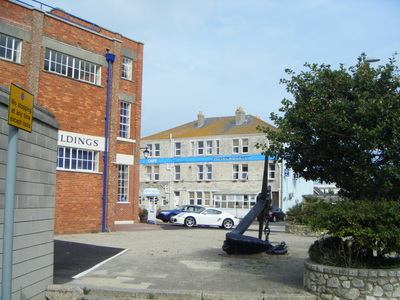 Sailors' Return (10 Castletown) - established in the mid-19th century and active until 1970, now made up of residential flats. Retains sign with pub name and console brackets with "JG 1901" (John Groves & Sons Ltd). The village is overlooked from the south by two large multi-storey buildings set into the hillside. 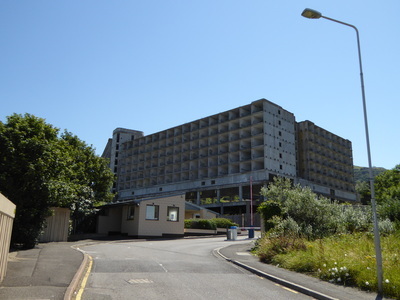 These blocks, formerly known as the Hardy Site (or Hardy Complex), were built in the 1980s as state-of-the-art accommodation for Royal Navy personnel. 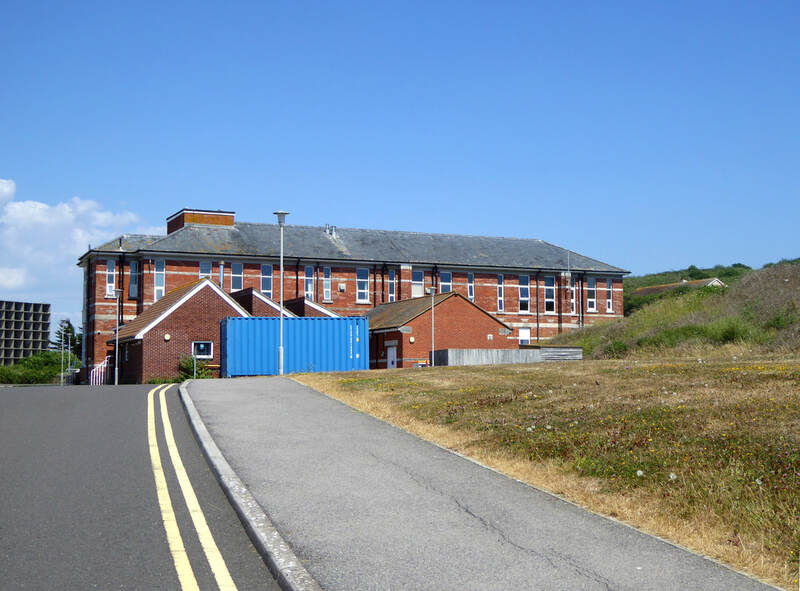 The project cost £30 million, which also included the Boscawen Centre. 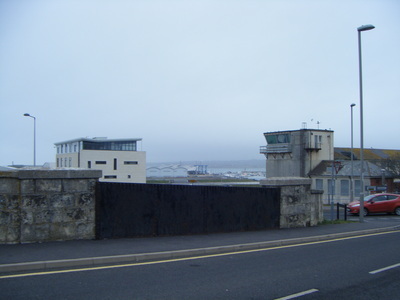 After the closure of HMNB Portland, the Hardy Site remained in use by RNAS Portland until the station's closure in 1999. 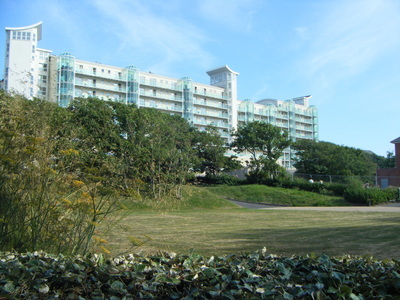 The two blocks were sold by the Ministry of Defence to Comer Homes in 2000 for redevelopment. 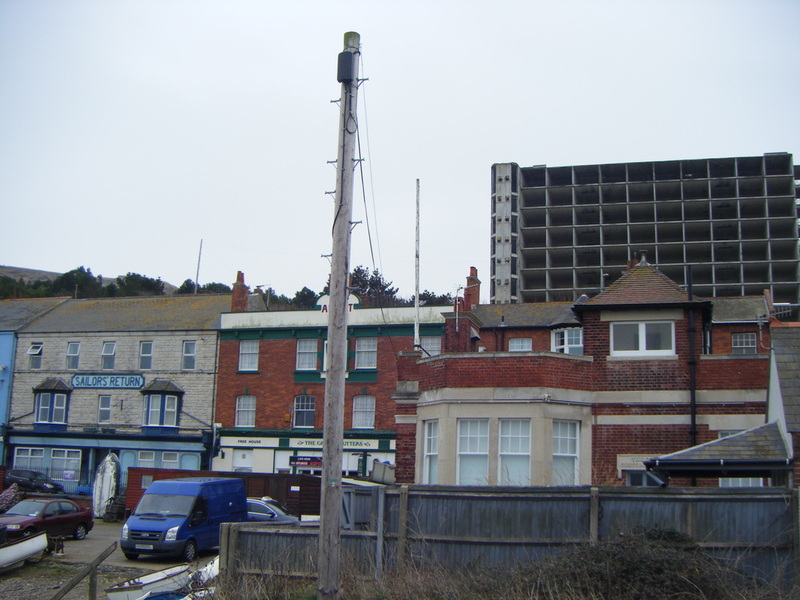 The first planning application was submitted in 2001 but withdrawn the following year. In 2003, plans put forward by the government to house 750 asylum seekers in the blocks was met with local opposition and protests, causing these plans to be withdrawn. Planning was approved in 2004 to transform the blocks into 363 homes with an additional 191 new dwellings added to the rear. With the new development named Ocean Views, both blocks were soon stripped back to their concrete frames and work was carried out on the first block in 2006-08. However, with the onset of the recession, the developers suffered financial difficulties and conversion of the second block stalled. The site was later purchased by Fulca Ltd, also part of Comer Homes, who in 2014 expressed wish to restart the development, which is hoped to commence in 2019. On Castle Road, leading into Castletown, is the Portland Community Hospital. It was originally built as part of the Royal Naval Hospital, which opened in 1904 and served the base until 1957 when it was handed over to the NHS. The former gatehouse and mortuary building at the entrance of the hospital grounds is now used as the Gatehouse Surgery under Royal Manor Health Care. 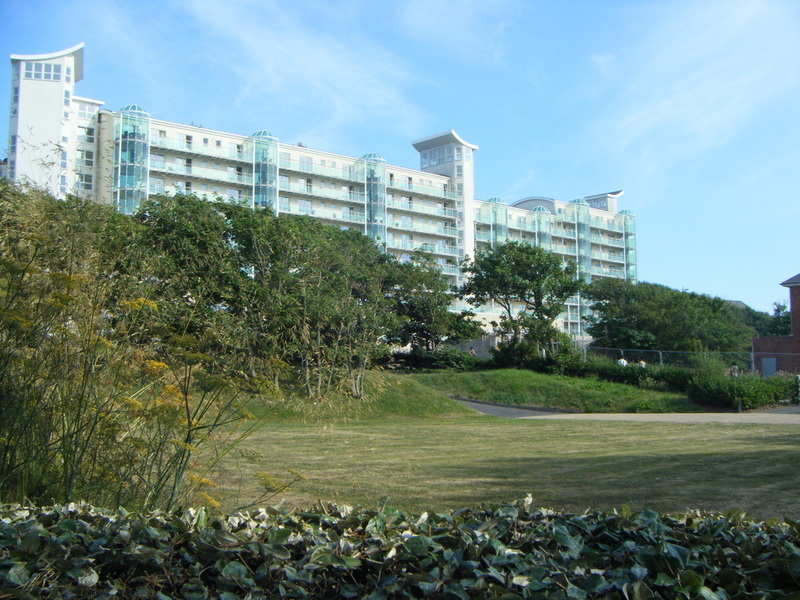 The same area holds three former naval residences; known today as Hardy House, Boscawen House and Rodney House. The £7,500 cost of the three houses was approved in 1903 and they were constructed in 1904-06 by Messrs Jesty and Baker. The land had been transferred from the War Office to the Admiralty at no cost. In recent years, all three have been designated Important Local Buildings. 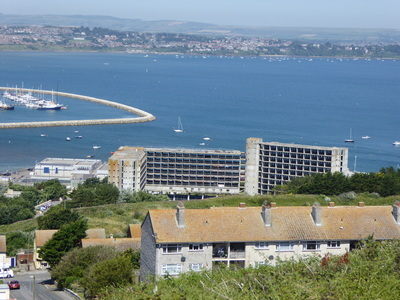 Rodney House was constructed for Portland's harbour master, but by the 1930s had become the residence of the captain-in-charge. It has been used as the Outlooks Children's Centre since 1996. 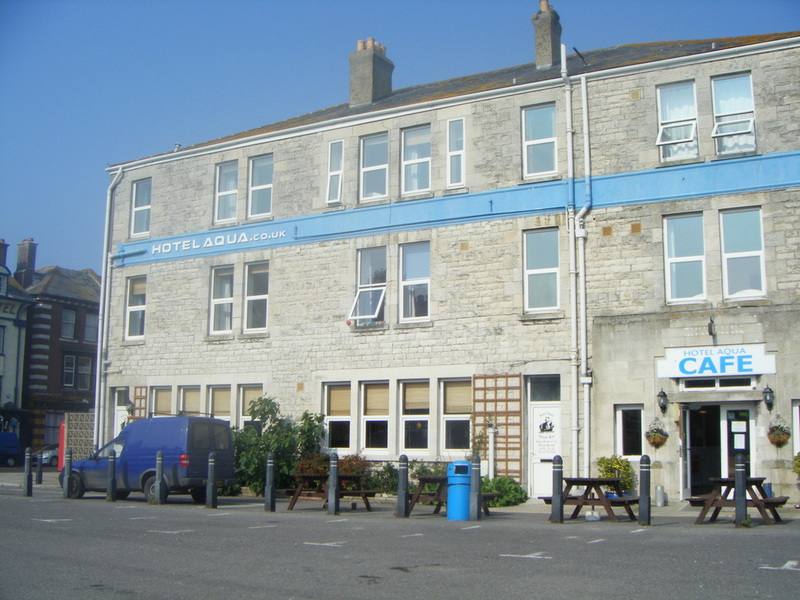 Boscawen House was built for the chief engineer and was transformed into a hostel in 2003. 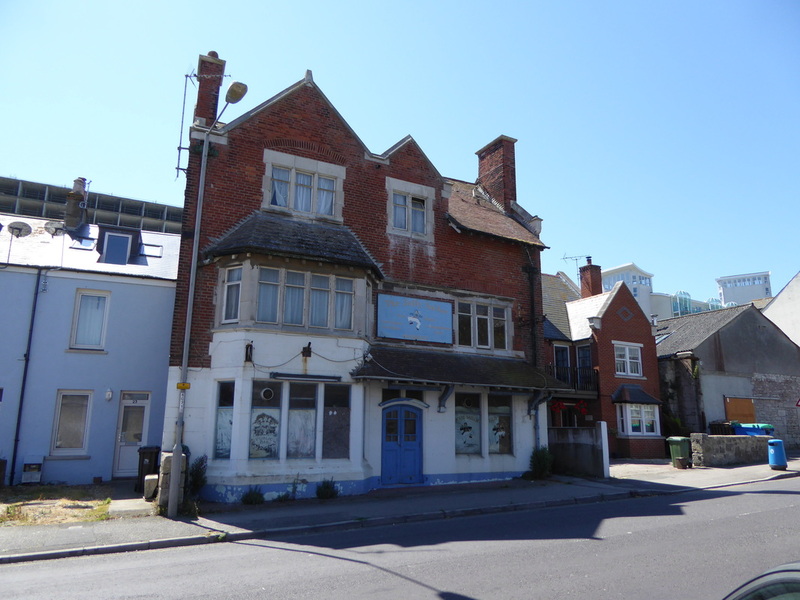 Planning permission was later granted in 2007 to transform and extend the house to form eight flats, but the work was not carried out. Hardy House was constructed for the naval store officer. 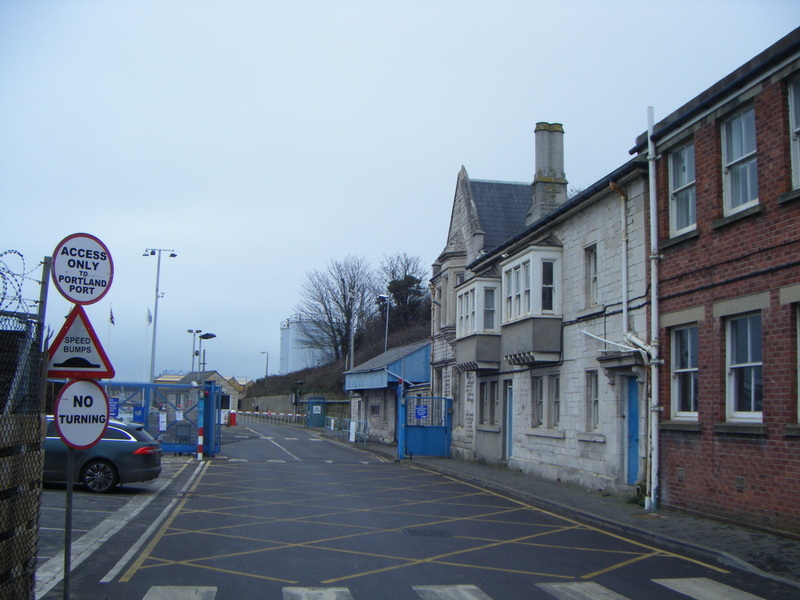 Later in the 20th century, it became the Royal Naval Provost Headquarters, housing the RN Service Police. 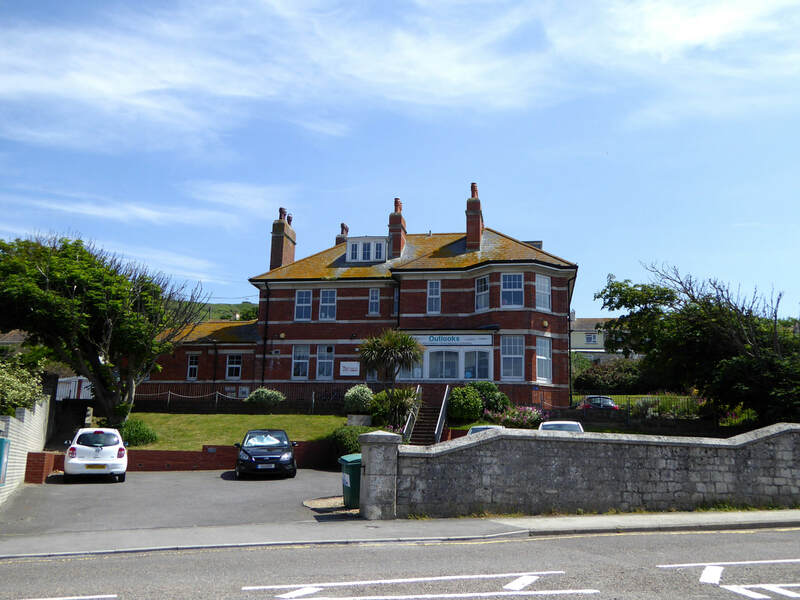 In 1998, with the impending closure of RNAS Portland, the house was taken over by the Youth Hostel Association who opened the YHA Portland Hostel in 2001, with the assistance of the South West Regional Development Agency and Weymouth & Portland Borough Council. The following is an A-Z list of references for this page. The primary sources are in italics. These images can be enlarged by clicking on them. Some images have information attached to them, and to view this you can either enlarge the image or hover the mouse over each thumbnail. 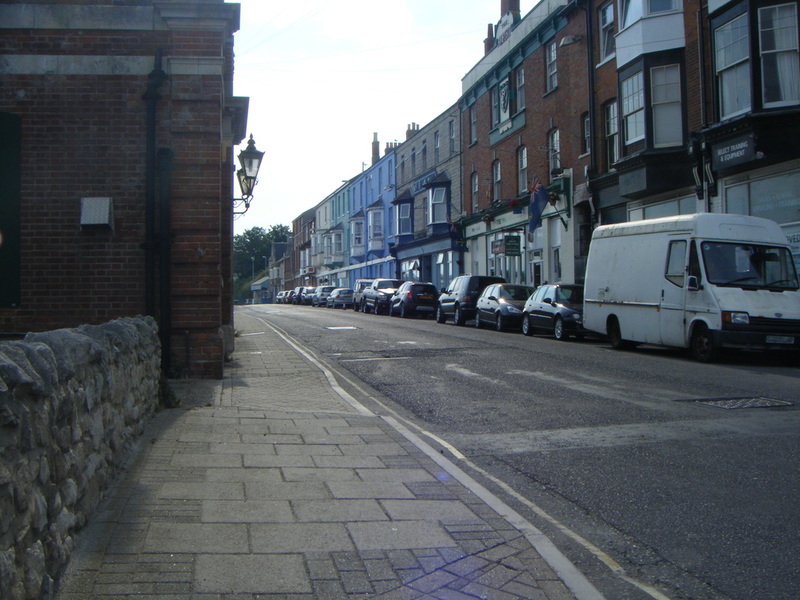 Castletown features a single Victorian terrace. The nearest building is the Portland Roads Hotel. 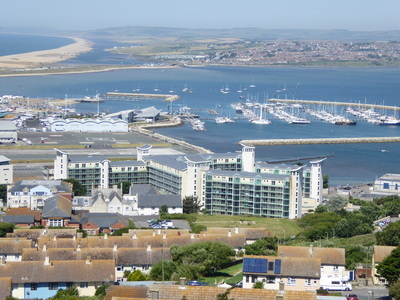 This photograph of the terrace shows the Sailors Return and beyond, looking back in the direction of Fortuneswell. 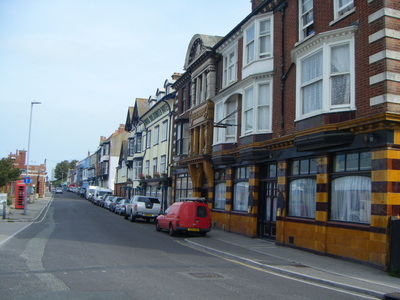 This terraced row from the Royal Breakwater Hotel and beyond. Looking towards the entrance of Portland Port and its dockyard. The entrance to Portland Port through Castletown. 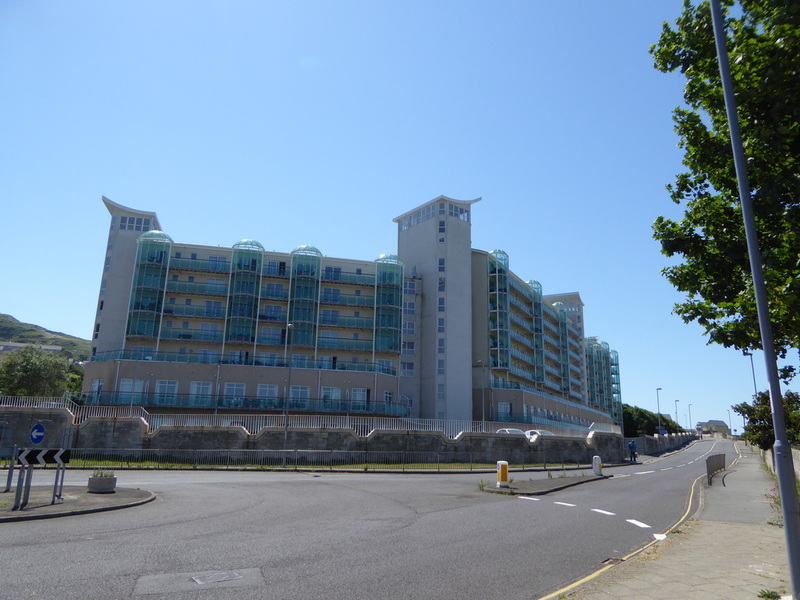 The Royal Breakwater Hotel with the towering ex-naval accommodation block behind. A photograph showing the Sailors Return and The Green Shutters. A view across the remaining part of Castletown beach. 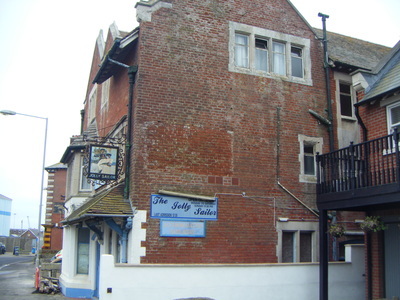 The Jolly Sailor to date remains closed, and untouched, despite plans in 2012 for it to become a residential care home. Castletown Stores was the village's local convenience store, until it closed in 2014. Admiralty Buildings was originally built as a warehouse. It is now a multi-purpose headquarters for the Dorset-based care providers Agincare. The view across to Hotel Aqua from near The Jolly Sailor. 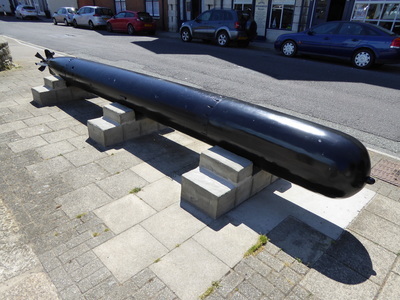 In 2016, this British Mark VIII Torpedo was put on display outside the building as part of the Castletown Regeneration project. 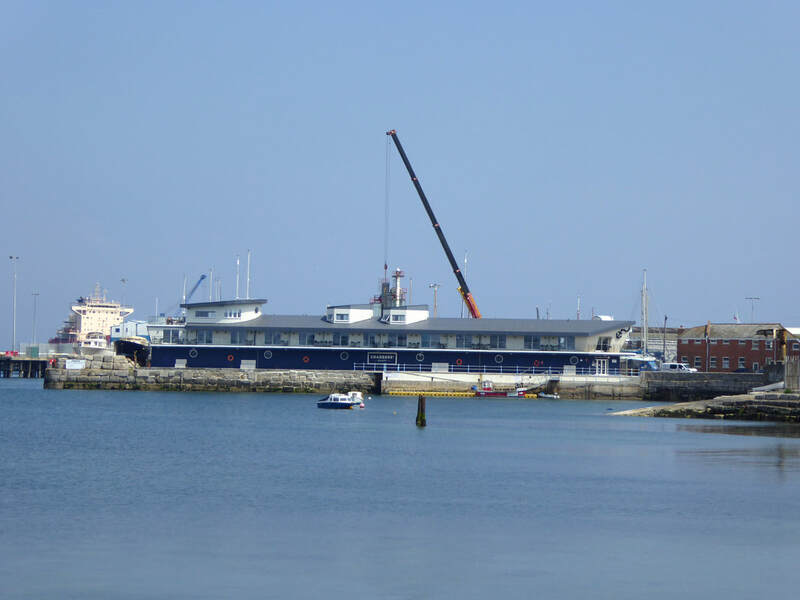 As seen in 2016, work continues on the redevelopment of Castletown Pier. The upcoming D-Day Centre is seen here at the side of the building. Nearby, again as part of the Castletown Regeneration project, this lerret, a type of local fishing vessel, was put on display. Hotel Aqua overlooks the waterfront next to Castletown Pier. Outside the hotel and toilet block is another torpedo now on display - a 21 inch Mark VIII torpedo. Also on display are two sculptures - one of a shark, the other a diver - which are due to be sunk at a later date in the upcoming underwater diving attraction in the harbour. The red brick building seen here is the Old Customs House. Another view from this area. 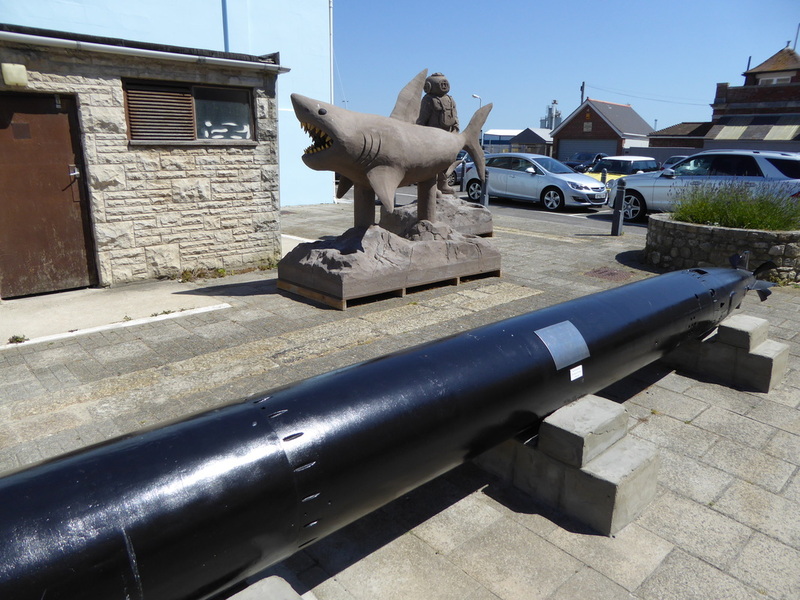 At the entrance of Castletown is the Osprey Leisure Centre. It was built in the 1980s for use by Royal Navy personnel. 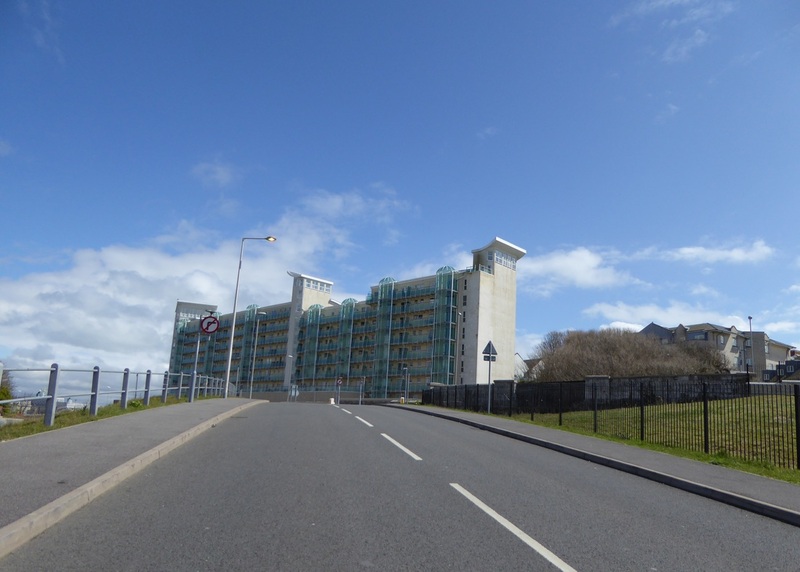 And opposite are the Ocean Views flats - one block still awaiting completion. This undeveloped block was built in the 1980s as accommodation for Royal Navy junior rates. The other block was built for senior rates. Portland Castle is at Castletown, and is located next to a small sandy beach. Another view of the castle. The Captain's House at Castletown is now part of Portland Castle, but was home to the Captain to the neighbouring HMS Osprey until it closed in 1998. 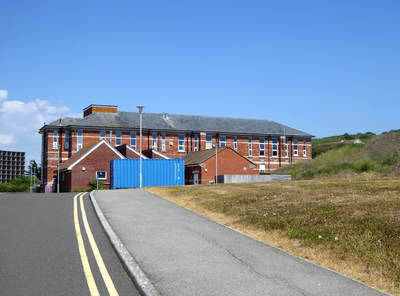 The second of two ex-naval accommodation blocks. This one has now been refurbished into the Ocean Views apartments. 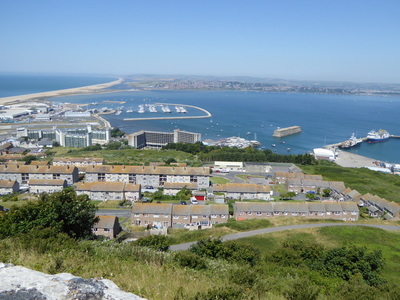 Looking across to Castletown from the footpath running between Portland Castle and Portland Marina. 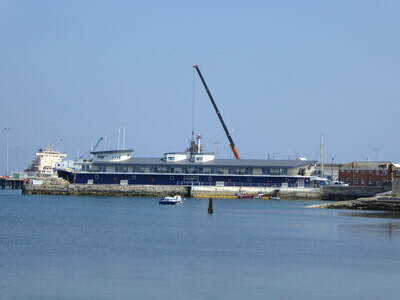 Castletown Pier with the newly-built Crabber's Wharf. Hardy House, one of three former admiralty residences at Castle Road, and now in use as a Youth Hostel. Rodney House, now in use as Outlooks. 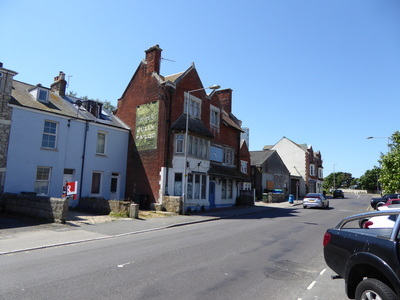 Castle Road leads into Castletown from Fortuneswell region. The entrance to the Portland Community Hospital, located further down from the Admiralty Residences. Portland Community Hospital was once a Royal Naval Hospital. Further back down this road towards Castletown, the Weymouth to Portland Railway Line once ran under the road. The bridge is the only notable survival today, as the track has destroyed. 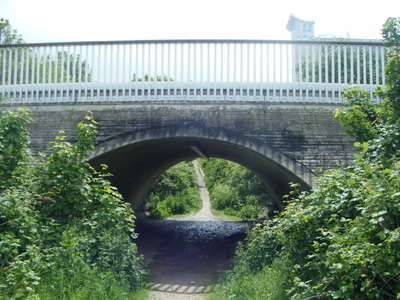 The other side of the bridge. Ocean Views from this area. 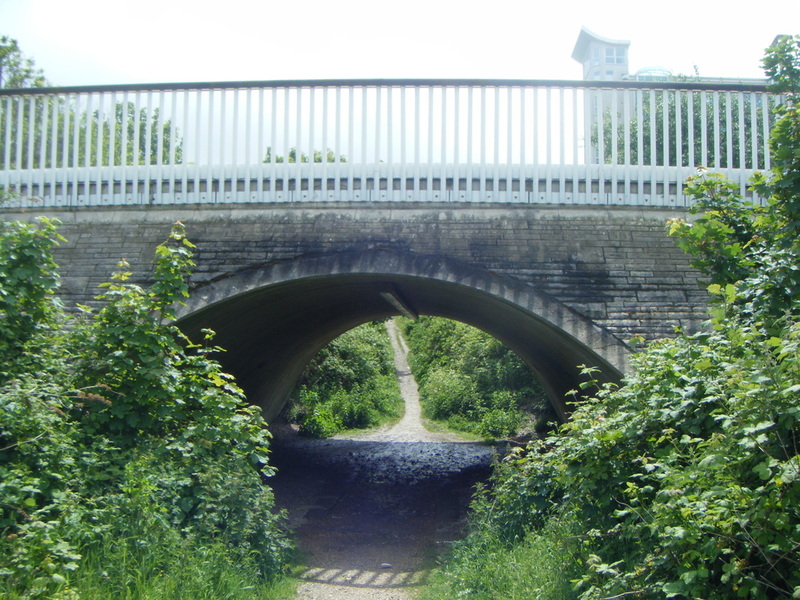 Between the two blocks is the bottom of the Merchant's Incline, part of the Merchant's Railway - now a popular footpath. 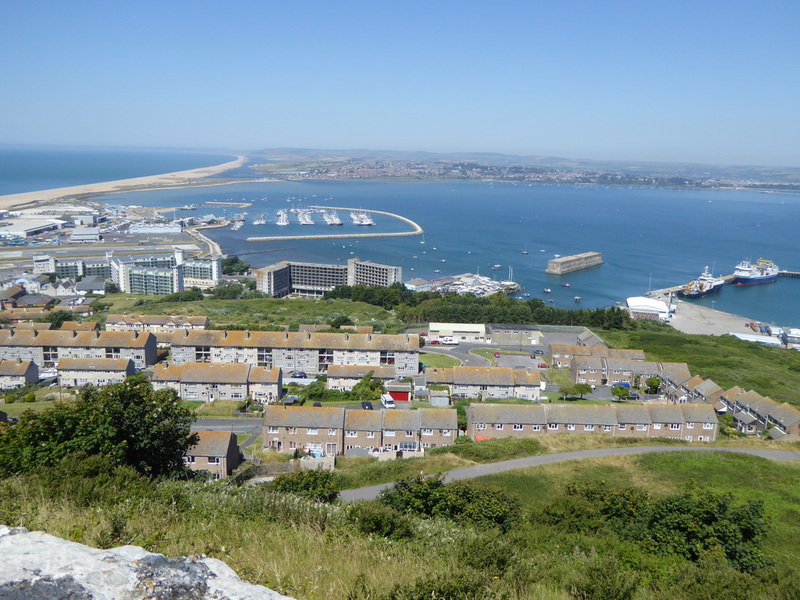 From the Verne Citadel, the two accommodation blocks can be seen towering above Castletown. Osprey Leisure Centre seen between the two blocks. 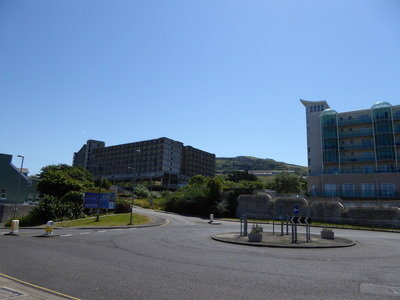 The refurbished Ocean Views flats, with Portland Community Hospital behind it. The derelict block of flats. On the map below the pointer is aligned to the centre point of Castletown village.